Without what the Allies learned in the Mediterranean air war in 1942–1944, the Normandy landings—and so, perhaps, the Second World War II—would have ended differently. This is one of many lessons of The Mediterranean Air War, the first one-volume history of the vital role of airpower during the three-year struggle for control of the Mediterranean Basin in World War II—and of its significance for the Allied successes in the war's last two years. 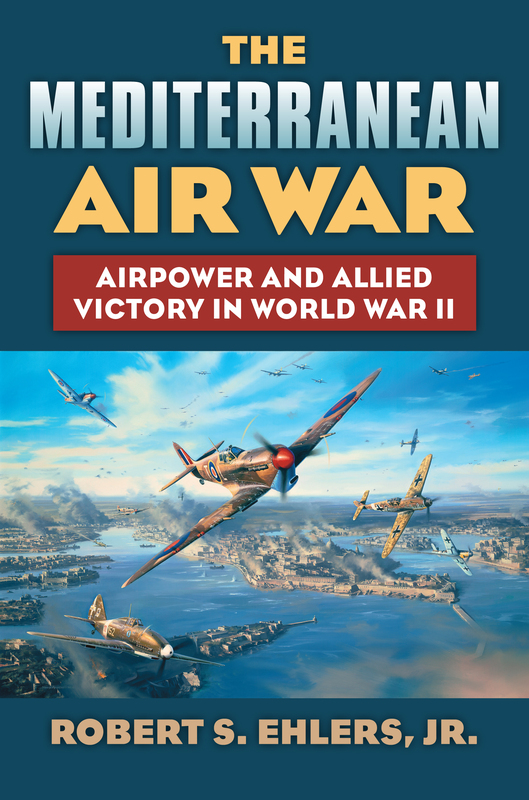 Airpower historian Robert S. Ehlers opens his account with an assessment of the pre-war Mediterranean theater, highlighting the ways in which the players' strategic choices, strengths, and shortcomings set the stage for and ultimately shaped the air campaigns over the Middle Sea. Beginning with the Italian invasion of Abyssinia, Ehlers reprises the developing international crisis—initially between Britain and Italy, and finally encompassing France, Germany, the US, other members of the British Commonwealth, and the Balkan countries. He then explores the Mediterranean air war in detail, with close attention to turning points, joint and combined operations, and the campaign's contribution to the larger Allied effort. In particular, his analysis shows how and why the success of Allied airpower in the Mediterranean laid the groundwork for combined-arms victories in the Middle East, the Indian Ocean area, North Africa, and the Atlantic, northwest Europe. Of grand-strategic importance from the days of Ancient Rome to the Great-Power rivalries of the eighteenth and nineteenth centuries, the Middle Sea was no less crucial to the Allied forces and their foes. Here, in the successful offensives in North Africa in 1942 and 1943, the US and the British learned to conduct a coalition air and combined-arms war. Here, in Sicily and Italy in 1943 and 1944, the Allies mastered the logistics of providing air support for huge naval landings and opened a vital second aerial front against the Third Reich, bombing critical oil and transportation targets with great effectiveness. The first full examination of the Mediterranean theater in these critical roles—as a strategic and tactical testing ground for the Allies and as a vital theater of operations in its own right—The Mediterranean Air War fills in a long-missing but vital dimension of the history of World War II. Robert S. Ehlers, Jr., professor of security studies at Angelo State University (San Angelo, Texas), is a retired colonel in the United States Air Force and formerly a professor of airpower history at the School of Advanced Air and Space Studies at Maxwell Air Force Base. He is the author of Targeting the Third Reich: Air Intelligence and the Allied Bombing Campaigns, also from Kansas, winner of the Air Force Historical Foundation’s “Best Airpower History Book” award.